Bewitching people’s hearts and minds for centuries, this captivating crystal suggests there could be some unexpected money coming your way this week. Pay rises, bonuses and amazing work opportunities can all be expected, and a friend, partner or loved one could surprise you with their generosity too. Maximise your luck and good fortune by keeping a Citrine in your home or work place, or placing one in your purse (or beside some money). 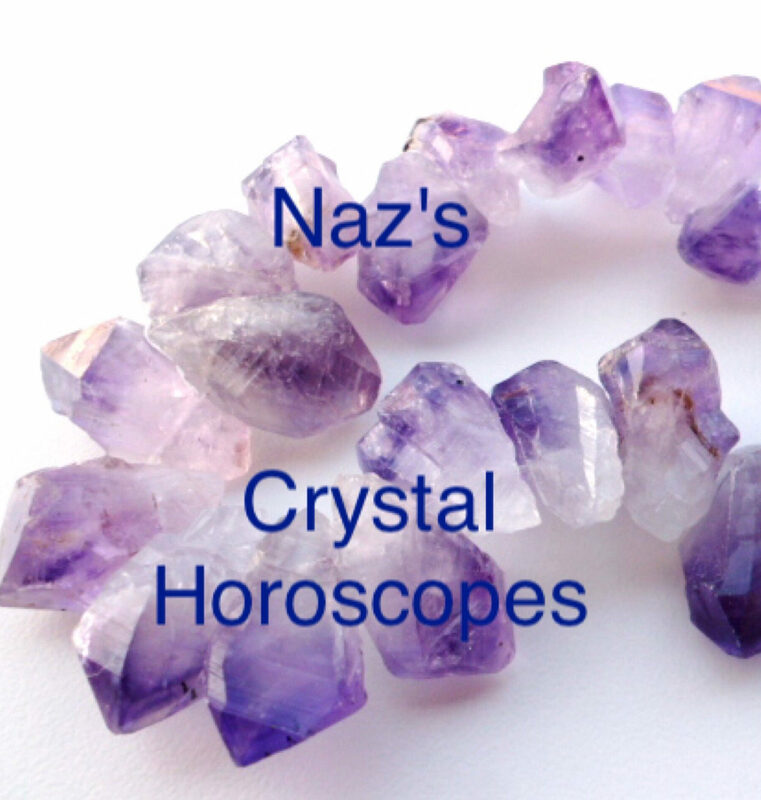 This mesmerising crystal is thought to help with everything - from boosting your confidence and shielding you from envy, to attracting love and protecting your family. Symbolising confidence and healing, it suggests a friend, partner or love interest could upset you with a thoughtless comment this week. Critical remarks from friends and loved ones may leave you feeling very low, and you may need to distance yourself from a very negative person around you too. Synonymous with the sea and water, this stunning crystal suggests you may find yourself feeling more emotional than an Adele album this week! Overwhelming demands from work, family members and every day life may leave you feeling very drained, and you may find yourself longing for a holiday too. Leave your worries behind - and calm your body, soul and mind - by holding an Aquamarine by your heart each night, or keeping one in your bedroom. Capturing the hearts of some of the world’s greatest icons, this beautiful crystal has enchanted people’s hearts and minds with its beauty for centuries, and is thought to have been one of Queen Victoria’s favourite crystals. Symbolising love, healing and power, it suggests a friend, colleague or loved one could surprise you with a very thoughtful gift this week. Celebrate the love around you - and nurture the bonds between you - by keeping an Opal nearby. Known as a stone of communication, this stunning crystal suggests you may find yourself feeling very misunderstood by someone around you this week. Misunderstandings with friends, colleagues and family members may leave you feeling very emotional, and you may need to reach out to someone you trust for their help and support too. Protect yourself from any bad vibes or negativity - and fill your heart with positivity - by keeping a Sodalite nearby. Like the beautiful animal it’s named after - which is so often overshadowed by the ‘king of the jungle’ (the lion) - this mesmerising crystal suggests you may find yourself feeling slightly intimidated by someone around you this week. Rude or aggressive behaviour from friends, potential love interests and colleagues may leave you feeling very unsettled, and you may need to stand your ground with a very narrow-minded individual around you too. Symbolising love, healing and inner peace, this enchanting crystal suggests you may find yourself feeling slightly lonely this week. Unanswered calls to friends, colleagues and family members may leave you feeling slightly emotional, and you could find yourself mourning the loss or absence of someone you love and miss too. Wave your sadness goodbye - and keep your spirits high - by holding a Rose Quartz by your heart, or placing one beside a photo of yourself smiling. Adored for centuries, this mesmerising crystal has captured the hearts of everyone - from singers and actresses, to queens and princesses. Symbolising love, healing and peace, it suggests you may find yourself feeling slightly used by someone around you this week. Ungrateful behaviour from friends, colleagues and loved ones may leave you feeling very hurt, but someone you love and trust could surprise you with their understanding too. Symbolising unconditional love and healing, this mesmerising crystal suggests you may find yourself feeling slightly nostalgic this week. Happy memories from the past - and heartwarming conversations with the people you love - may leave you feeling very thankful, and someone very special from the past could re-enter your life too. Embrace all the happiness around you by placing an Amber beside a photo of you and your loved ones, or holding one by your heart.